Finding and buying a new home can be a stressful process. Doing so while recovering from an injury only adds to the pressure. You might not realize it at first, but your injury attorney in St. Louis can help you with more than pursuing monetary compensation for your damages. He or she can refer you to a realtor specifically trained to find accessible homes that meet your needs. During your initial meeting with your realtor, tell him or her all of your physical limitations and any additional limitations you expect to have in the future. Your realtor’s first goal is to help find houses that fit your needs, so the more information he or she has about your needs, the more effectively he or she can be. Otherwise, you’ll be wasting your time looking at houses that you ultimately don’t pursue because they aren’t accessible and can’t be modified. Giving your Realtor the needs up front will also help them assess where certain adaptions may be needed and then describe them to a contractor willing and able to install them. Virtually no home is 100% move in ready. There are always things that you’ll need to be happy, and if your Realtor is experienced, they’ll have access to good contractors that can help get things done. Some people just don’t have a way to make updates before moving in – if modifying the home isn’t a realistic option for you, your real estate agent can help you find homes that don’t need modifications. Don’t assume that you can’t afford the modifications you need. You might be able to get funding to help cover these costs or they might be covered by your insurance. It’s also important to make plans based on how long you anticipate needing accessibility modifications. If you are temporarily in a wheelchair as you recover from an injury, it might make sense for you to simply set up your bedroom on your new home’s ground floor and then move it upstairs once you can walk on the stairs. If you are permanently disabled, you will need to invest in an accessible home. You shouldn’t expect to settle for a house that doesn’t work for your needs simply because you have very specific needs. Be willing to be patient and compromise when necessary – what if instead of a stairlift, you chose a one-story home to make it possible for you to access every area of the home? Brainstorm accessibility ideas with your realtor and other members of your household to see if there are solutions other than modifying a new home to make it accessible. Markets in transition are an interesting thing to deal with in real estate. When markets shift, the rules change. What was gospel last month is all of the sudden thrown out and new practices have to be used. The new market is competitive and swift. The “right” properties are out there, but only stay on the market for hours in some cases. Check out this list and your chances for landing the perfect house will be much improved. 1. Work with EXPERIENCED PROFESSIONALS. Real estate is a business where on the job training reigns supreme. The only way to get that training is to be active in the current market. 2. Work with Agents that have PAPERLESS CAPABILITY. To beat out other buyer’s with similar desires, having an agent that can put together an offer on a tablet, get your signature, then email the offer can make the difference between getting the right house, or the runner up. 3. Get pre-approved in advance and have a digitized copy available. This has been an old rule for many years, but during the housing slump, it became less important. New urgency requires the need to impress that seller once again. Aside from getting a pre-approval, lots of buyer’s seem to be confused about what is a comfortable payment for them due to all the other bills and expenses they have. Despite having gotten a pre-approval and working with a lender, they sometimes hesitate due to lack of awareness of things like when their lease ends, and what their home will cost with taxes and home owners insurance added. Most buyers have wish lists for home features, but often times looking at the type of neighborhood isn’t something that’s explored as much. Giving your Realtor general ideas about the type of community you want to reside in can go a long way in helping find perspective homes. It can also help to narrow down listings or decide between homes. Most of your contract contingencies are based on the execution date of the contract and the first one is generally the inspection contingency. In years past, getting an inspector in a few days wasn’t a problem, but in this market, inspectors are swamped. Call them the minute you’re aware you’re contract has been accepted and get a list of good inspectors from your Realtor. 7. Once you’ve found the right place, DON’T HESITATE! Posted in buyers agent, home buying tips, loan commitment, Loan Qualifications, pre-approval, St Louis Home Buying, Uncategorized. The process of getting a home mortgage can be confusing. Its confusing mostly because its overwhelming. Lender spin accounts for a little confusion too. Lastly, the consumers desire for things to be simple makes it more overwhelming still. One thing that trips up a lot of buyers is the pre-approval. There’s the pre-approval mantra we hear so often. Homes listed used to say “bring your pre-approved buyers”, bank tag-lines talk about getting pre-approved, stream-lined pre-approval process, pre-qualification and more. Buyers meet up and tell their Realtor that “the loan is APPROVED, we just need to pick the house.” That tells me the mortgage lender is blowing some serious smoke where they shouldn’t be. That seems to be a common belief among buyers though. Changing gears a bit, the St Louis Association of Realtors standard Residential Contract has a built in loan contingency in the contract. This contingency is called the loan commitment period, a time after which one can not back out of the contract due to the inability to obtain a loan without being in “breach of contract”. Restated simply, a home buyer has a certain period to get their loan approved. Usually about 3-4 weeks are needed to get this (clear) ‘loan commitment’ from a lender. Back to the whole pre-approval thing. So if a buyer gets pre-approved before starting the whole real estate buying venture, what else needs to be done? Is the home shopper really “approved”? 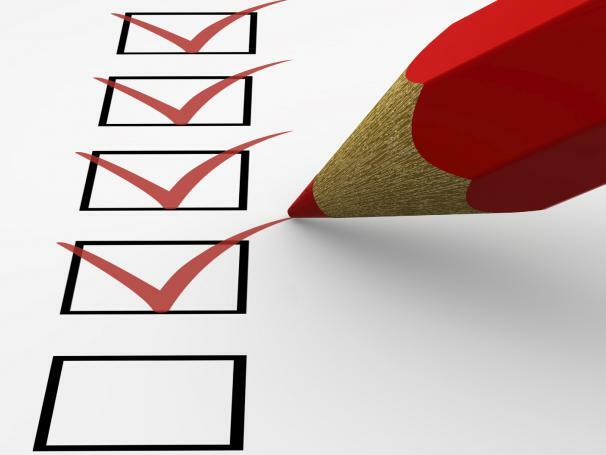 The pre-approval process is usually a basic analysis of the major qualifying information. A few questions about employment terms, annual income, name, date of birth, social security number and so on. A credit report is run, but otherwise, little if any verification takes place before the buyer is pre-approved. Some lenders go further. They may ask for the last two years W-2 forms. The bottom line is that pre-approval amounts to a preliminary screening of the credit worthiness of a buyer. The buyer finds the perfect St Louis home with their Realtor of choice, they negotiate a deal and are “under contract. Then what? 1. The lender gets a copy of the contract and reviews the terms. 2. 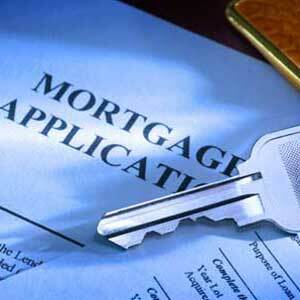 The lender will need to meet with the buyer, or work via mail to prepare a mortgage loan application. 3. The loan application, along with 2 years of tax returns, a check for the appraisal and other documentation specific to you will be returned to the lender. 4. Good lenders wait until buyer’s have passed through the inspection period to move forward with appraisals, but once they get the green light, an appraisal is ordered. 5. CONDO’s or HOMEOWNER ASSOCIATION HOMES ONLY -Good lenders get necessary questionaire completed early in the process. There may be a fee for this also. Finding out if a condominium can be financed before ordering an appraisal can be good. 6. Lenders get the application, credit reports, all corresponding documentation and the appraisal and submit it to their UNDERWRITER. Good lenders have “in house” underwriters, since having to submit items to an outside source complicate things immensely. 7. The Underwriter responds to the application at some point with CONDITIONS. These are the conditions that need to be “cleared” for them to approve the loan. The fewer conditions the better. Most good lenders would anticipate what conditions would come up and “put out the fires before they start”. Conditions that come up usually are letters of explanation from the buyer, their employers, the appraiser and additional documentation. Sometimes the underwriter can reject an appraisal completely and ask for a new one. 8. Responses to all the conditions must be submitted to the underwriter, then, ideally the loan passes from underwriting to the closing department. At this point, the buyer or buyer’s agent may receive what is known in the St Louis area as “loan commitment”. Other areas of the country are often times not familiar with this term. Here in St Louis, its part of the Residential Sales Contract. So between the pre-approval process and LOAN COMMITMENT, there are 8 basic “hoops” that need to be jumped through, plus everything else, from writing the contract through inspections that need to be addressed before the bank can give the real approval. Final approval usually happens when the bank wires the funds and authorizes the title company to “fund” the deal, so BUYER’S, keep this process in the back of your mind when you make an offer and make sure you choose your lender quickly after your contract is written. The moral of this story: a week after a contract is accepted is not the time to still be shopping rates and interviewing lenders! Talk to your Realtor every step of the way and make sure YOUR THINKING correlates to what you’ve agreed to in the contract and everything should turn out fine. One of the most common confusing things about buying a home is the home mortgage. Most Realtors that work daily in the business have great lenders that they refer out. Clients often perceive that this is because of some kickback or benefit that the lender gives out. In reality, this is more because the headaches Realtors get from incompetent lenders and the errors they make that cost clients the homes they want. When the Realtor refers out a a “preferred lender”, 2 things happen. First, a lender with whom they have experience throughout an entire transaction is working on the deal. Secondly, the client has more leverage to make sure things happen as they need to. This is because if the lender screws up, they could lose more than just one deal, they could potentially lose the referral stream from an agent which could cost them thousands of dollars per year. RULE NUMBER 1: Buyer’s should try to use the lenders referred by their agents! Posted in home buying tips, Loan Qualifications, St Louis Home Buying, Uncategorized.